A Sea of Change or a Change of Sea? | Did Jesus have a Facebook Page? Peter really walked on water. It’s one of the incomprehensible Biblical miracles. One of those moments in history we have to let truly, “sink” in at the enormity of it. Most of us, and if you’re like me hate the storms of life and especially getting stuck in the middle of one. The disciples were in a boat at the 3am hour, (why on earth would anyone want to be fishing at such a time I don’t know) and the storm approached with a vengeance. The winds roared. The waves crashed the boat and the sky lit up with lightning. A death watch. But then….a man comes out of nowhere walking on the water. Of course they reacted as we would have with total fear of a ghost. Once they realized it was their beloved Jesus, Peter wants to go to him. As Jesus instructed, Peter stepped out on the water and began the walk of his life. This walk has become famous. The line, “walking on water” has been used as a metaphor, comparison or a figure of speech in many conversations. It probably has been spoken by those who don’t even believe it. I read today from Rev. Heather Butler these words about Peter’s legendary steps. Jesus didn’t change the storm; he changed Peter. Jesus gave Peter what he needed to do. He gave him what His word said. He assisted Peter to do the impossible. He told him what to do. 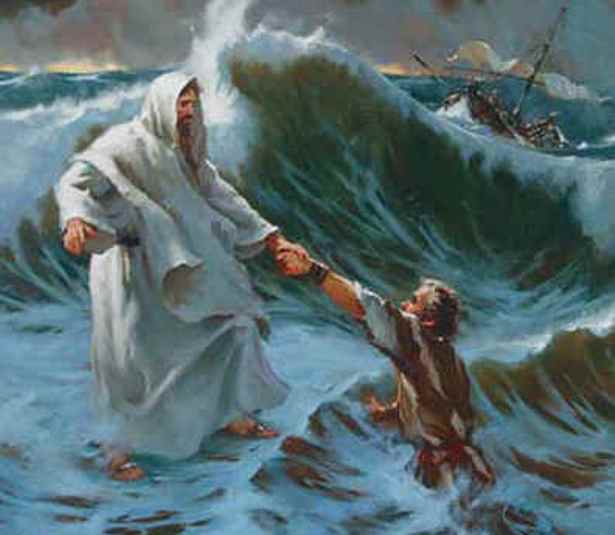 He gave Peter a promise that if he would come to Him walking on the water, Jesus would take care of him. That would’ve been too easy. It wouldn’t have been a life lesson. And what would history be without this story? Jesus gave Peter a test while his friends watched with bated breath. A test to keep his eyes fixed on His Lord, or sink. It’s been the story of my life especially for the last 5 years. Instead of God stopping the storms of our lives, he leaves the rage all around us to do what? For Him to show up. You can’t have a miracle without a crisis. You can’t get a fix for that crisis without Jesus. And the bottom line is none of us, can get through a moment without God. Peter had to depend on Jesus. 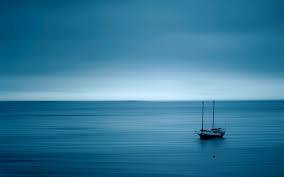 It was either a dependence to keep on walking or that Jesus would catch him if he began to sink. Peter did both. Just like we do. Just make sure you know who you’re looking at while you’re going through it. The key is to fix our eyes on Jesus so we won’t sink. Hebrews 12:2. Categories: Blog posts, Christianity | Tags: Bible, Bible story, Blogging, Business, Christianity, Culture, Economy, Education, Faith, Family, Friends, God, History, Holy Spirit, Home, Humor, Inspiration, Jesus, Life, Love, Media, Pacific Ocean, People, Personal, Philosophy, Relationships, Religion and Spirituality, Work, Writing | Permalink.